Thousands of protesters took to the streets of major cities on Friday to condemn a crackdown on Rohingya Muslims in Myanmar, with many carrying placards that read, "Shame on Aung San Suu Kyi". The largely peaceful rallies were spearheaded by the Jamaat-i-Islami (JI), but other political parties and members of the civil society also joined in. Political leaders, including JI chief Sirajul Haq, called for an end to the "genocide" of the Rohingya and for Pakistan to break off relations with the government in Myanmar. The government has previously expressed "deep anguish" at the violence. Many protesters also slammed Suu Kyi, Myanmar's de facto leader, over her silence. The Nobel Peace Prize winner has faced criticism for failing to condemn the violence, leaving her global reputation in tatters. 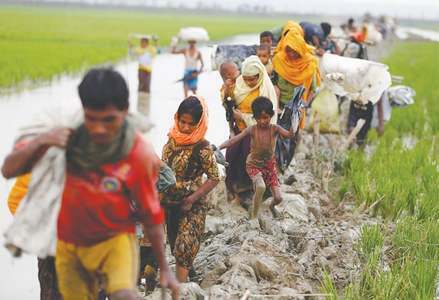 A senior United Nations (UN) representative told AFP on Friday that more than 1,000 people may already have been killed in the military-led crackdown, which has seen 270,000 mostly Rohingya civilians flee to Bangladesh in the last two weeks alone. Others have died trying to flee the fighting in Rakhine state, where witnesses say entire villages have been burned since suspected Rohingya militants launched a series of coordinated attacks on August 25, prompting the crackdown. In Karachi — which is host to one of the largest Rohingya populations outside of Myanmar — more than 2,000 people demonstrated outside the Karachi Press Club. "If our leader gives the call, we will lay down our lives for the Myanmar Muslims," one protester, Maulana Ahmed, told AFP. In Islamabad a similarly-sized crowd gathered at the entrance to the diplomatic enclave, inside which the Myanmar embassy is situated. Many carried placards reading: "Why are these Muslims being killed? What is their crime?" Security forces with protective riot gear stood nearby and containers blocked off access to the enclave, with some small scuffles. But police appeared relaxed as the demonstrators, some armed with batons, showed no signs of trying to go further into the diplomatic area. Demonstrators gathered outside Quetta Press Club carrying flags and banners reading "No to Burma", "No to the US" and "Stop Muslim genocides", and chanted slogans against the Burmese government. Maulana Wali Turabi, the JUI-F Quetta chief, told flag-waving supporters that "Pakistan must break diplomatic relations with Burma." Lawyers in Quetta boycotted the courts to condemn the violence against the Rohingyas. "This is a human tragedy and the world must break its criminal silence," Advocate Ali Kakar, a young lawyer told DawnNews. Protest rallies were also carried out in Peshawar and different parts of Khyber Pakhtunkhwa today. A large number of protesters, including members of various political and religious parties, traders, and several other organisations staged protests at the press club to condemn the atrocities against the Rohingya Muslims in Myanmar. The protesters were also holding banners and placards inscribed with slogans against the Burmese government. They urged the Pakistani government to sever diplomatic relations with Myanmar government and expel its ambassador immediately. The protesters criticised Muslim countries over their silence on the Myanmar issue. Traders also took to the streets in Peshawar's Saddar Bazaar in protest. They demanded that the government should break its silence and announce open support to the Muslims of Myanmar. In Malakand district, under the aegis of United Traders Union (UTU) in the Sakhakot area, thousands of people held a demonstration demanding that Muslim countries around the world to take serious notice of the issue of the displacement and death of thousands of Rohingya Muslims. Led by UTU President Hameedullah Khan, people holding placards and banners inscribed with different slogans took to the streets and criticised various world organisations for their silence over the violence against the Rohingya Muslims. The rally marched through different areas of Sakhakot and converged into a big public meeting at General Bus Stop. Speakers at the gathering called on the Muslim community and the UN to take practical steps to help stop the violence against the Rohingyas. 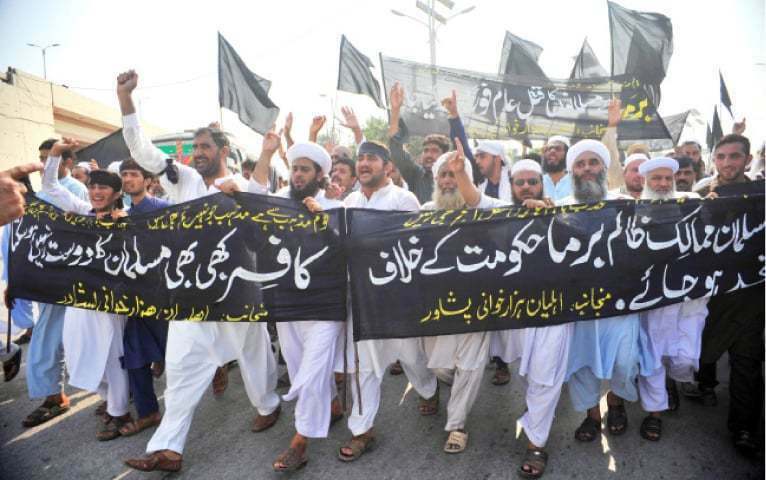 Religious parties, including the JUI-F, JI and Pakistan Awami Tehreek also staged demonstrations in Quetta against the Myanmar government's alleged brutalities against Rohingya Muslims. JUI-F led demonstrations in Bisham, Puran, Chakesar and Shahpur tehsils of Shangla condemning atrocities against Rohingya Muslims. Leaders at the rallies said the protests representing unity and support for Burmese Muslims would continue. Similar protests were staged in Bannu, Hangu, Swabi and Mardan. Protesters carrying banners and placards in Badin urged the federal government to take up the issue of Rohingya genocide with UN, Organisation of Islamic Cooperation (OIC) and other world bodies to help stop unabated atrocities. Mithi, Umerkot, Mirpurkhas and other towns of Sindh also saw protest rallies. The Rohingya have long been subjected to discrimination in mostly Buddhist Myanmar, which regards them as illegal immigrants from Bangladesh and denies them citizenship. The death toll given to AFP by Yanghee Lee, the UN special rapporteur on human rights in Myanmar, is far higher than official tolls totalling 432. The government of Myanmar has counted 400 deaths and says most were terrorists. The latest violence began on Aug 25 after insurgent attacks on police. The government forces retaliated with what they called “clearance operations". The UN says some 146,000 people have fled Myanmar into Bangladesh since August 25. UN spokesman Stephane Dujarric said on Wednesday that the World Food Programme is appealing for $11.3 million to support the influx of people and those already living in camps. 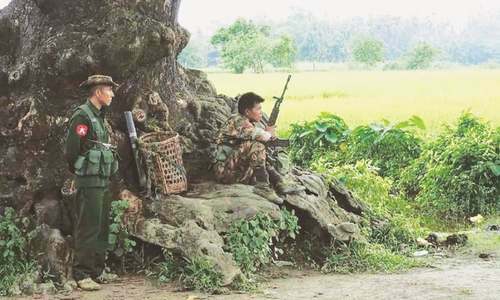 The Myanmar government's top security adviser claims an insurgent group that attacked 30 police posts two weeks ago is trying to carve out a separate Muslim state from the Buddhist-majority nation, and the armed forces are using maximum restraint in their operations against them. Myanmar's National Security Adviser Thaung Tun said at a news conference on Wednesday in the capital, Naypyitaw, that security forces are making every effort to avoid harming innocent civilians. He was responding to accusations that the army and police fired indiscriminately on civilians and razed Muslim Rohingya villages after the attacks on the police posts in Rakhine state. Poor Kurds. Nobody supported them. Please send aid. Protesting won't help. Start collecting food and clothes and send them. 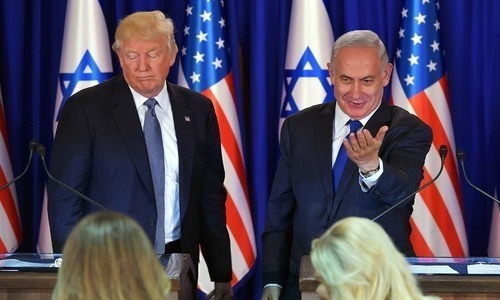 Start a refugee program and welcome them. Pakistan was created as a home for South Asias Muslims, relatively few migrated, so we should take them in , only a million people, equivalent to to two months population growth. Turkey has offered aid, no doubt others will follow. Burma changed its name 28 years ago, these guys need new atlases. Pakistan and for that matter all Islamic countries not only protest against the the maltreatment of Rohingyas but also aid and welcome them as refugees. 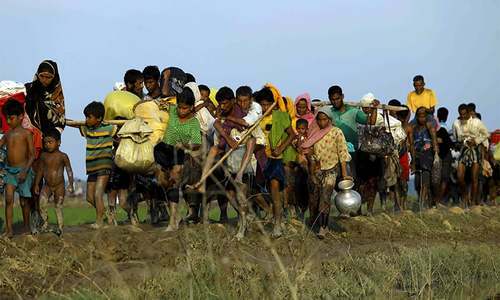 Pakistan should open door and send a welcome message to Rohingya Muslims. They should be treated with respect in Pakistan and to avoid future prosecution should be honored with Citizenship. Just protest is not enough if Pakistan wants to lead Muslim world. The best way for Pakistan to highlight the plight of Rohingya Muslims in Myanmar is for PM Abbasi to visit their Refugee Camps in Bangladesh. The best way for Pakistan to highlight the plight of Rohingya Muslims is for PM Abbasi to visit their camps in Bangladesh. At the same time the govt. needs to make sure that so called religious parties here don't make this, an excuse to cause trouble in Pakistan. Protests are not going to help just tell your government to take all and settle them in Pakistan. Learn the truth and be freed. Walk the talk, take all Rohingya to safe places in 52 Muslim countries. Easiest way to show solidarity. Very encouraging development. Muslims need to hrlp their Muslim brothers in distress. these protests should also include atrocities towards Kurds, Uighars in China, shias, palestinians and most sufferes Syrians and Yemeni Muslims. It is a very good start though. When was the last time these religious organizations protested against the senseless massacre of hazaras, Shias and Christian in their own town and cities. My heart goes out to rohingya Muslims but at the same time, I question our own track record of brutality against minorities in a Muslim countries. What about Uighurs in Xinjiang? Who would want to go to Pakistan as refugees? Where were all these guys when Yazdi women were brutalized and raped and men had their throats slit? Adopt rohingya families. Government should stop sell of JF17 fighter planes to Myanmar. Pakistan should diplomatically pursue mitigating the Rohingya issue with China. Myanmar is a subservient country to China; on the other hand, Pakistan have 'all-weather friendly' relations with China too. Muslm countries should open their gates for Rohingyas. Pakistan should lead by example. There's plenty of land to resettle the Rohingya, Libyans, Syrians, Malians, Nigerese, etc in Saudi Arabia, UAE, Oman, Morocco, Malaysia, Iran, Indonesia, Xinjiang et al. These 'co-religionist brethren nations' are being blatantly hypocritical by their very silence, yet arrogantly demand the West help these hapless folk - many who are victims of self-inflicted chaos and poor governance. @AG Please open doors for them. Send aircrafts and bring them to Pakistan! @AG Just where do you send aid? Both Myanmar and Bangladesh will not let foreign material on their soil without inspection and safeguards. Good show of solidarity but they need food & other support for their livelihood. Is pak really in a position to say or command any other country?? I really doubt, turkey couldnt even do anything what can pak do here? In the end econamy talks not all these dharnas and protests. It is genocide as described, it is a civil conflict. It could happen anywhere in the world with the present world scenario. When the differerence is religion, then it is focused more upon. Population growth is the main issue. Please invite Rohingya Muslims to Pakistan. Show good gesture of humanity and brotherhood. Just protests will not help. Pakistan must give shelters to Rohingyas. Blind on plight of Uyghurs who are not even allowed to go to mosque. Blind on Kurds who were mascarred. Blind on Yemenis who are facing worst colera ever. Open your doors for Rohingyas, protest will not give any relief to them. First of all why Rohingya's are treated like this in their own country? What did they do to disturb the peace in the buddhist country? Myanmar is not India. They do not need vote banks. They will crush any opposition to their authority.